Several times I was curious about visiting the Temple Mount, the hotly disputed centre of the old city, where the dome of the rock is, an important worship place for Muslims, the times of opening to non-Muslims is a bit confusing and there is only one entrance in, up the wooden bridges that ascends next to the Kotel (Western Wall) so every time I have visited the entrance is shut. 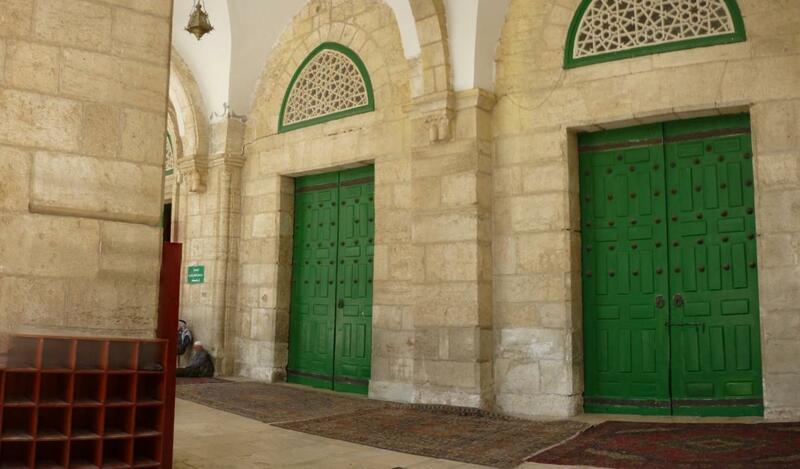 Although I say this, according to Islamic theology, neither Jerusalem or its Arabic name Al-Quds feature in the Quran, unlike Mecca of course in Saudi Arabia where Muslims aim to make a pilgrimage at least once in their lifetime. 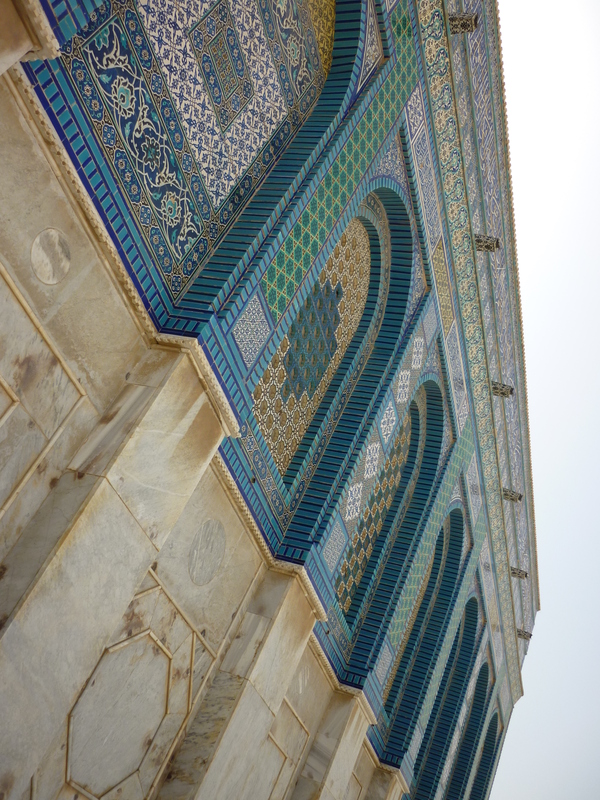 Nevertheless the Dome of the Rock with its gold roof stands as a centre piece in Jerusalem. Of course this area is considered to be the place where the third Jewish temple will be built and often there are riots up here as Muslims react angrily if they here any rumours that Israel may be hinting at attempting to rebuild a temple there, I have an Arab friend who works an ambulance worker who often gets called there. Such is the extremely politically volatile climate this area is in. Looking down from the wooden bridge you can get some nice shots of the Kotel through the wooden slats of the bridge. On the other side are these interesting ruins I have not spotted before. 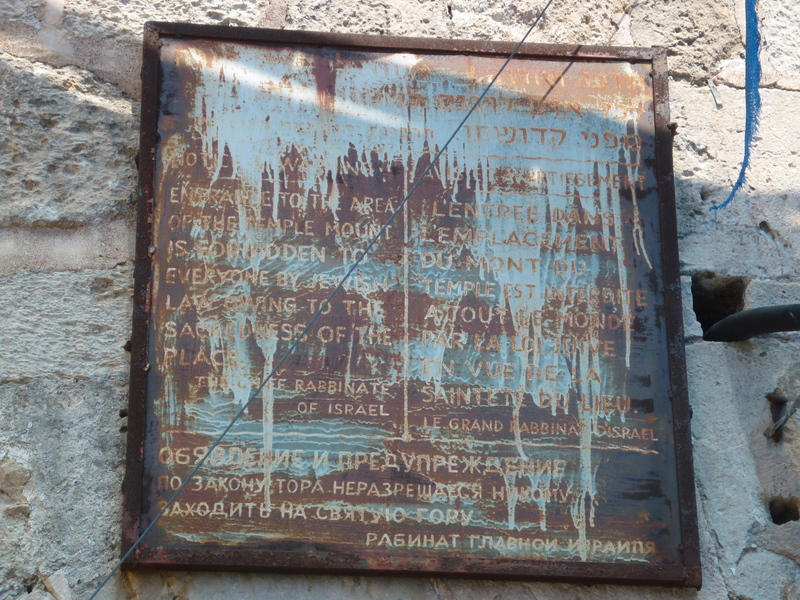 Here this rusty sign above the doorway at the entrance to the Temple Mount shows that this not-accessible, (I am pretty sure Israelis are not allowed in, its only intended for Muslims and visiting foreigners) I am not sure which age or era this sign is from. Once in, the Temple Mount is quite different, where as everything is tightly squeezed in the walls of the old city into the four quarters (Christian, Jewish, Islamic and Armenian sections) and I would imagine property prices are high, here in the courtyard of this place there is a lot of big open space, and some nice trees and the walls, stairways and buildings are of interesting architecture, with the familiar green doors I see associated with Islamic buildings. The main mosque has some cracks in the walls apparently, mainly due some unannounced extensions underground built by the Arab authorities, there is talk that some structural repairs are needed (the ancient walls around the old city have had a lot of maintenance needed lately) but as Muslims are not keen on having Israeli structural engineers in their famous mosque, I am not sure of any remedial work has been done. So given a busy day with a lot of people visiting the mosque, this could give great cause for concern for safety. 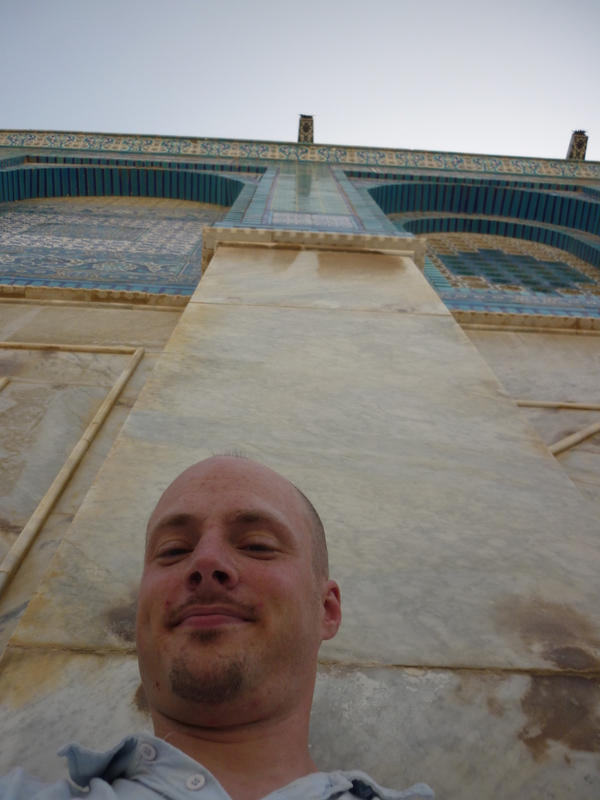 I wanted to get some shots of one of the insides of the buildings, I had to make do with this one as I was gestured by one of the staff not to take pictures, or it might of been in accordance with Islamic culture I should take my shoes off. 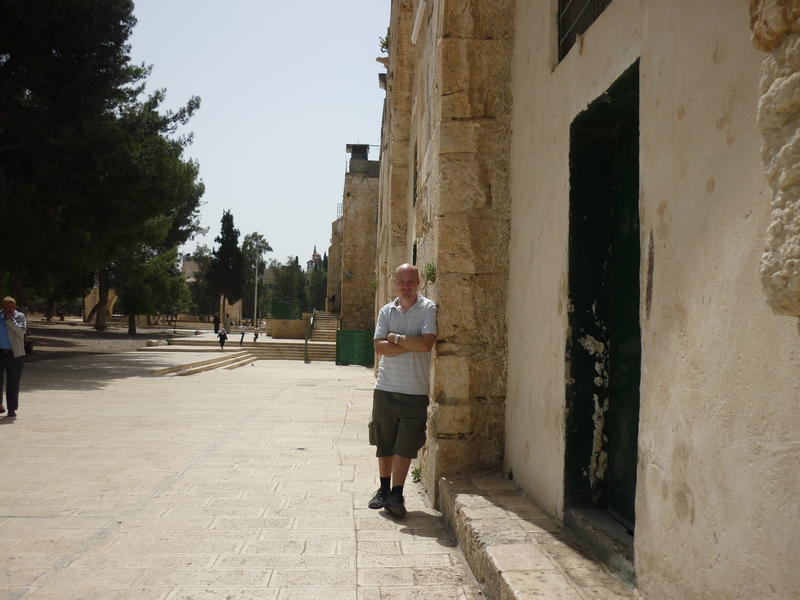 Anyway I decided to settle on just a wander around the inside perimeter walls of the Temple Mount, after getting around just two sides of the wall. After passing one of the exits, I was told by a member of security I had to leave as time was up for visitors at 3.30pm, I was kind of disappointed as I want to good chance to leisurely explore this place which I have not seen previously. As a Christian I believe some day Yeshua (Jesus) will return here and the temple will be rebuilt, and as the Dome sits as a centre point in the city, the architecture of this new place will be pretty spectacular as the bible says when Jerusalem becomes a completely free from war and conflict.